Visionary leader, trailblazer, transformational change agent. 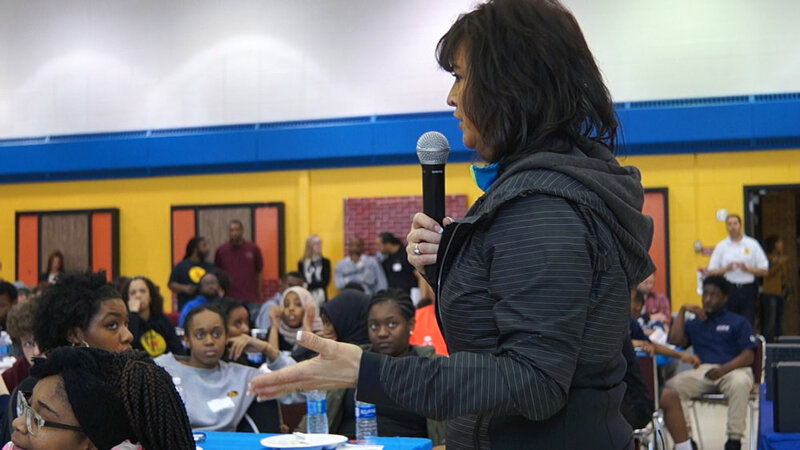 Janeé Harteau, now retired Minneapolis Chief of Police, is no stranger to controversy and crisis, having led the Minneapolis Police Department through transformational change during some of the most politically charged, and turbulent times in recent history. 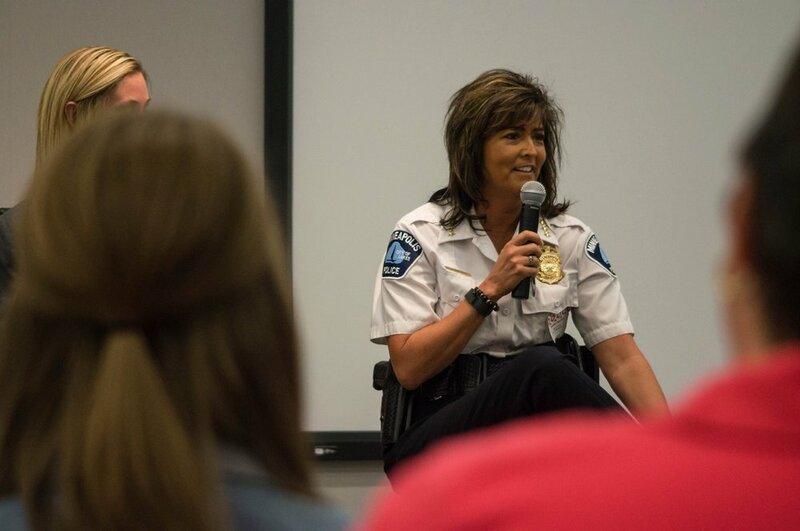 Harteau worked her way through the ranks at the Minneapolis Police Department to being named the first female chief in Minneapolis' history and one of Fortune magazine's list of the World's 50 Greatest Leaders. Janeé Harteau is a dynamic speaker and has provided hundreds of audiences with her candid straight talk about the daily challenges of leadership, being a mom and living through unprecedented turbulent times. She will leave you feeling inspired and motivated with a road map to achieving your potential to be the best you that you can be! 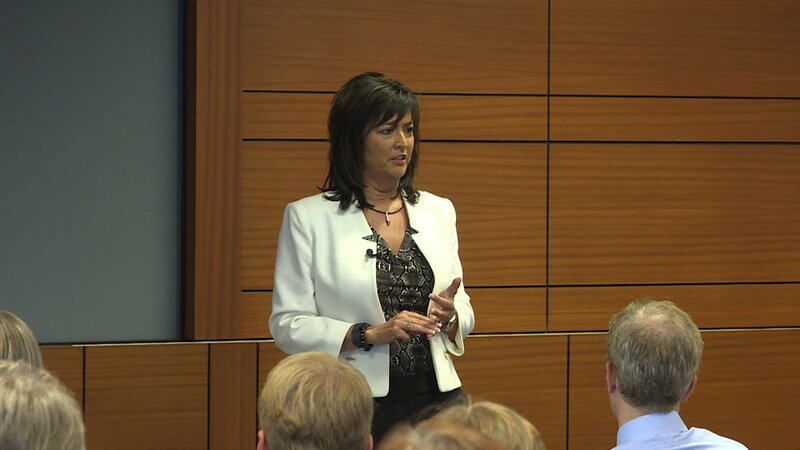 Want Janeé to speak at your next event? 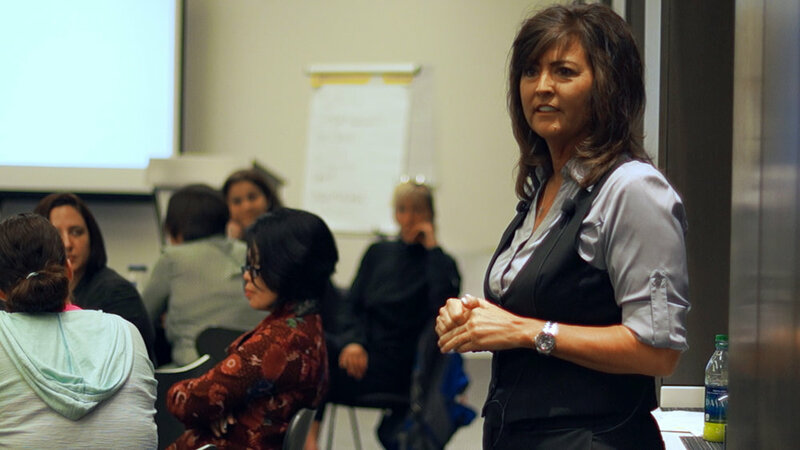 Janeé teaches women to “get to the corner office” through personal empowerment – by defining and achieving their own personal “corner office.” She is a nationally recognized speaker at many different organizations across the United States, encouraging women to excel in their careers. No one achieves greatness by giving the minimum. There is a cost. There will be failures and what Janeé calls, “character building bumps” along the way! Embrace them! She went from fighting her department to leading it. Can we truly have it all? Prepare, plan and understand what it truly takes to lead in the 21st Century. Janeé can help you reach your full potential. Where does the CEO or top executive go for support? To vent? Leading an organization brings all kinds of demands and stressors including high visibility, constant scrutiny, balancing competing interests, maneuvering the political winds, striking a work-life balance, managing people and their expectations, just to name a few. How do we develop resiliency? As an executive you may feel alone or struggling in the moment, but many have broken through successfully. 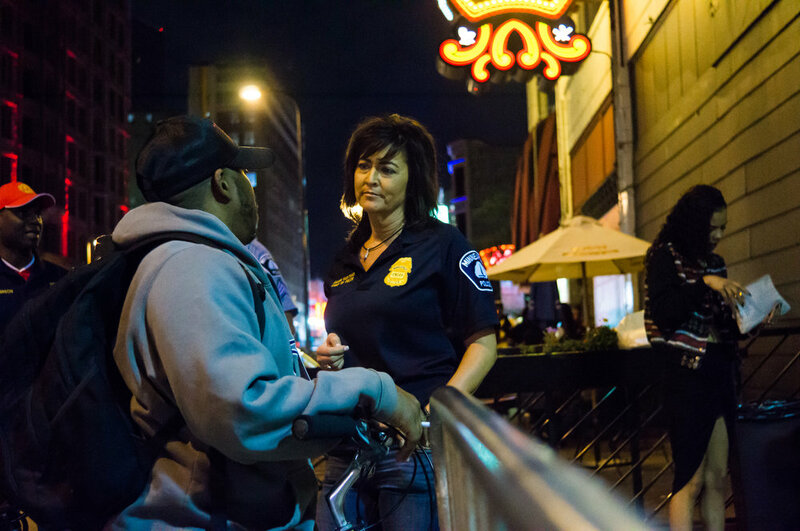 MPD 2.0, Janeé Harteau’s strategic policing platform, has received national and international recognition as a model to implement 21st century policing concepts. 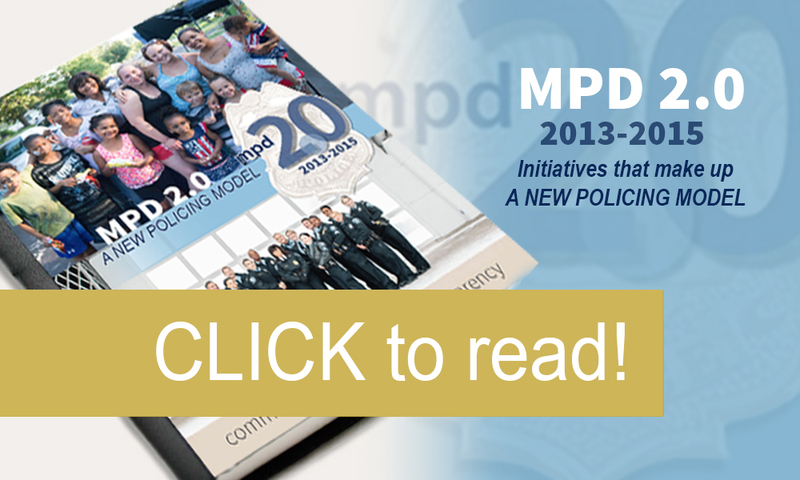 MPD 2.0 increases communication and transparency with the community while providing officers with opportunities for professional development, with the common goal of public safety through constitutional policing. Click the image below to read.